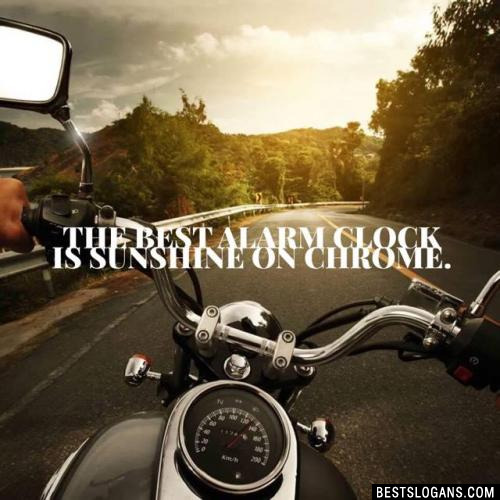 52 new entries added to motorcycle slogans, that include pictures. 1. 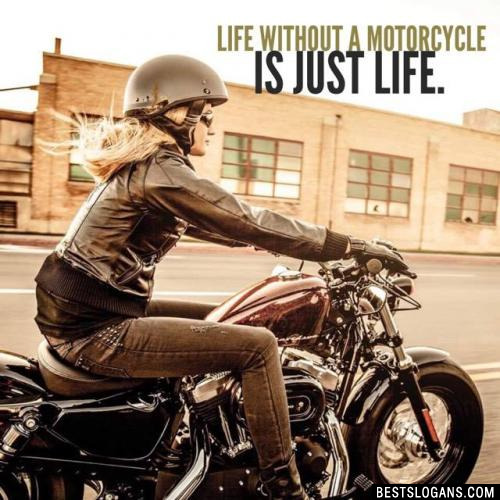 Life without a motorcycle is just life. 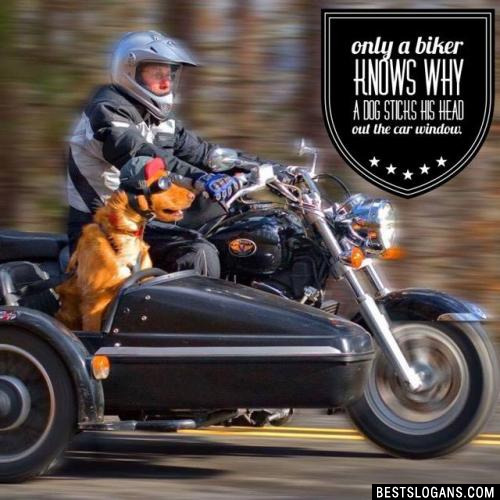 Even though they're only on 2 wheels, and much smaller than cars, motorcycles have played just as interesting a role in history as the automobile. 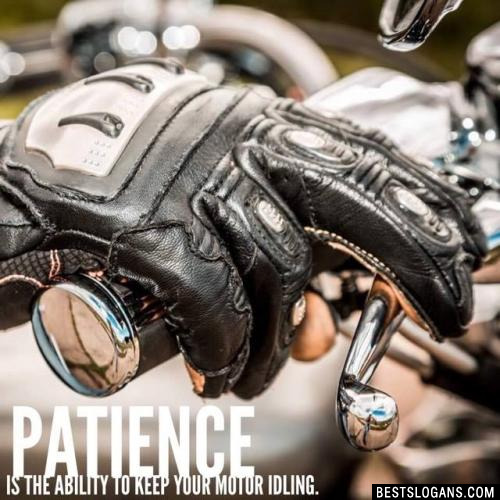 Here are a few facts about motorcycles. British inventor Edward Butler is credited with coining the term 'motorcycle' when inventing a 3-wheeled petrol vehicle in 1884. The world's largest motorcycle pyramid was completed by the Indian Army's Daredevil Team, with 201 men riding on 10 bikes. Technically, up to eight motorcycles can fit into the same parking space occupied by one car. Japan built a motorcycle called the TOTO which was powered by human waste. The world's longest motorcycle, built in Russia in 2005, is 31 feet long and seats up to 16 people. 4 A journey of a thousand miles begins with a dead battery and flat tire. 5 Gray-haired riders don't get that way from pure luck. 6 Never try to race an old Geezer, he may have one more gear than you. 9 You can forget what you do for a living when your knees are in the breeze. 10 Always replace the cheapest parts first. 11 There are old riders. And there bold riders. 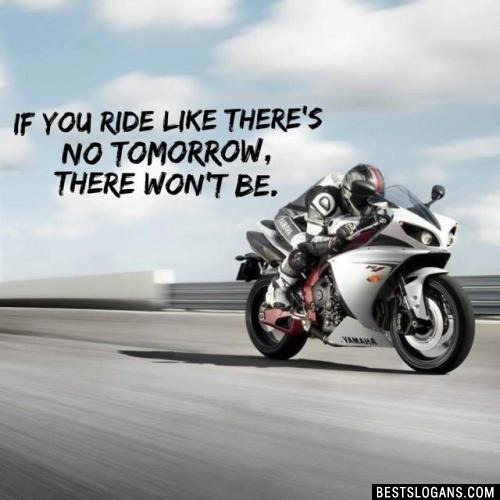 There are NO old, bold riders. 12 Bikes parked out front mean good chicken-fried steak inside. 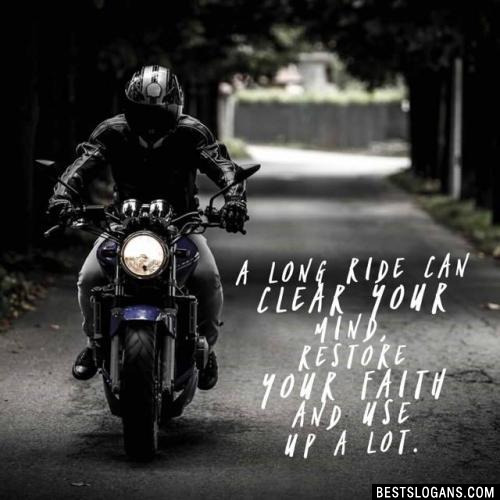 A long ride can clear your mind, restore your faith and use up a lot. 15 Be careful. Don't argue with an 18-wheeler, a bus, or even a car. 16 There's something ugly about a NEW bike on a trailer. 17 If you want to get somewhere before sundown, you can't stop at every tavern. 18 Catching a yellow jacket in your shirt at 70 mph can double your vocabulary. 20 Good coffee should be indistinguishable from 50 weight motor oil. 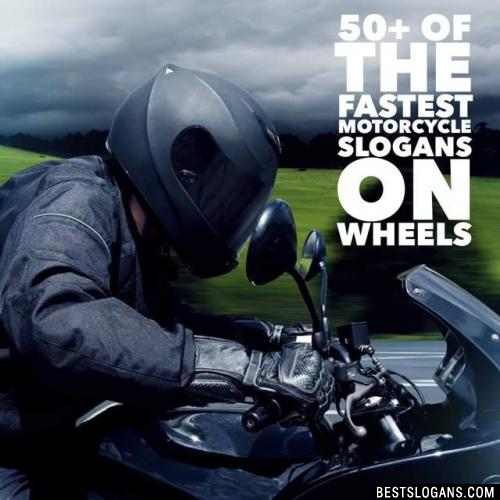 Can you think of a good Motorcycle Slogans we're missing? Or come up with a clever one of your own. Please share below.